Vincent DeMarco, president of Marylanders To Prevent Gun Violence, asked to respond to last week’s series on Gun Wars because he felt it did not fully describe the progress made by the Firearms Safety Act passed last year. President of Marylanders To Prevent Gun Violence. In 2013, the Maryland General Assembly passed and Governor O’Malley signed into law a landmark new gun violence prevention measure, the Firearms Safety Act, which is already saving lives in our state. We believe it should be a model for the nation. Just this month a federal judge dismissed a lawsuit filed by the gun lobby to overturn the law’s ban on assault weapons and high capacity gun magazines – meaning that these weapons of mass destruction are no longer legal for sale in our state. And statewide in Maryland, gun deaths have gone down 23% in the first seven months of 2014 compared to the same period last year. Surely, the Baltimore City Police Department’s new policing policies contributed to this decline in gun deaths. But, we at Marylanders To Prevent Gun Violence also believe that the Firearms Safety Act of 2013 played an important part in this progress, particularly its key provision requiring prospective handgun purchasers to first obtain a fingerprint-based license to purchase from the state police. According to Professor Daniel Webster of the Johns Hopkins Center on Gun Policy and Research, handgun purchaser licensing laws in other states have worked well to keep guns out of the hands of criminals. As a result, states with such laws tend to have lower firearms-related death rates than states without such laws. According to research done by Dr. Webster, when one state, Missouri, repealed its handgun purchaser licensing law in 2007, firearm-related homicide rates in the state abruptly increased while remaining stable in neighboring states and nationally. Importantly, the gun lobby has not challenged this key provision of the Firearms Safety Act either at the polls or in court. After the law passed in 2013, they chose not to try to take it to referendum because they knew they would lose. According to an independent poll by Goucher College, 82% of all Marylanders, including 68% of gun owners, support fingerprint licensing of handgun purchasers. Although they have unsuccessfully challenged in court the assault weapons ban in the Firearms Safety Act, the gun lobby has not challenged the underlining constitutionality of the fingerprint licensing provision. Neither this provision nor anything else in the Firearms Safety Act infringes upon Marylanders’ Second Amendment right to bear arms. The Firearms Safety Act also includes other measures which help keep guns out of the wrong hands. Since the law took effect on October 1, 2013, the Maryland State Police has for the first time had the authority to better regulate gun dealers and penalize or even close down rogue dealers whose guns are often responsible for a disproportionate number of guns getting into the hands of criminals. In addition, the new law requires that gun owners report lost or stolen guns so as to discourage people from allowing their guns to get into the wrong hands. 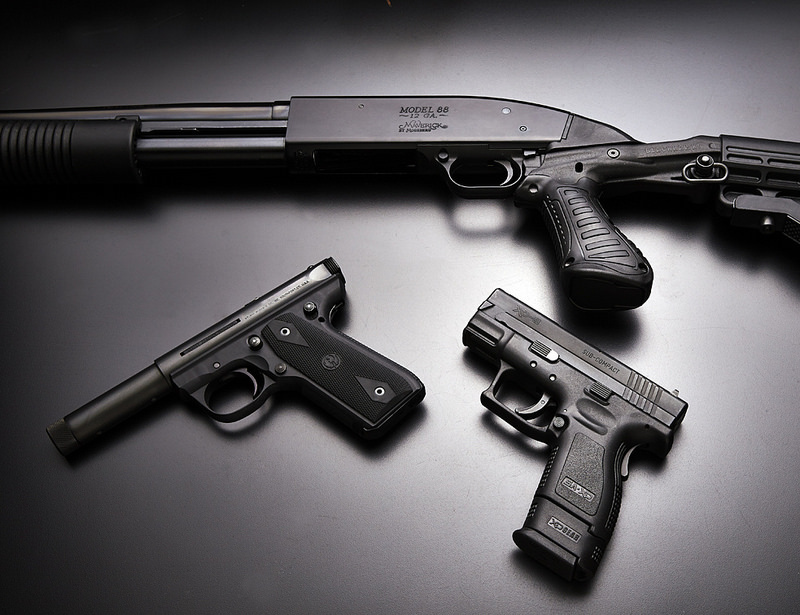 Finally, the law makes it harder for people with severe mental problems to get guns. The Firearms Safety Act is a model for how a state can reduce gun violence which other states should emulate. But, clearly, our job is not done. Even one innocent life lost to gun violence is too many. Even as we make it more difficult for criminals to acquire guns in Maryland, we’ll still be vulnerable to criminals acquiring guns in other states. In New York City, for example, which has one of the lowest gun death rates in the nation and where fingerprint licensing of handgun purchasers has been in effect for decades, 90 percent of the guns used in crime come from out of state. So we must do all we can to educate the public, lawmakers in other states and members of Congress about how important handgun purchaser licensing is to prevent gun violence. For almost two weeks, a Democratic slate supporting Courtney Watson for Howard County executive had been attacking Sen. Allan Kittleman, her Republican opponent, for supporting arming teachers and administrators with guns to protect students. For almost as long, Kittleman has been saying he was misquoted in the 2006 Washington Examiner story that was the basis of the claim, and had demanded a correction. MarylandReporter.com tracked down the reporter who wrote the story and she said that indeed Kittleman’s position was misrepresented in the editing process and a correction had been made.